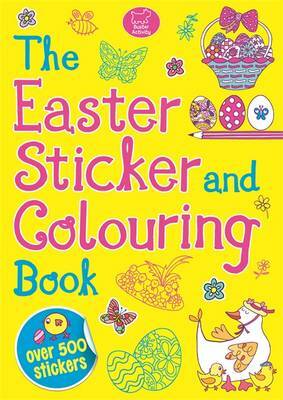 Easter is almost here and what better way to celebrate than with a beautifully illustrated colouring and sticker book full of pretty patterns to complete. The detailed designs range from eggs, bonnets and bunnies, to chicks and spring flowers. There are cute stickers to add to the springtime scenes in the book, plus hundreds or terrifically tiny stickers that children can use to decorate all sorts of Easter items. This incredible book makes a great present, a brilliant boredom-buster and a delightful distraction when the bunny is out and about, trying to hide his treasure-hunt eggs.